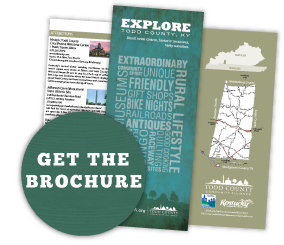 There are 376 square miles in Todd County; and with a total population of only 12,500, almost all of it is rural lands. The county features two very distinct geographical regions: the high country in the north and the low country in the south. The northern highlands consist of steep-sloped sandstone terrain with forests of oak, walnut and poplar. The landscape contains steep bluffs and sharp rises and falls within the terrain. The southern lowlands consist of rolling limestone flatlands void of aquifer sinks and consist of dense, but sparse forests of oak, walnut poplar and ash. Much of southern Todd County is considered among the most productive farmland in the state. 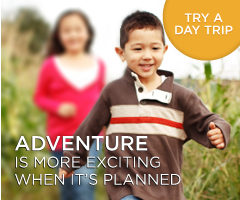 So, spend a relaxing day in “the country” taking in the scenery and enjoying some of what Todd County has to offer! 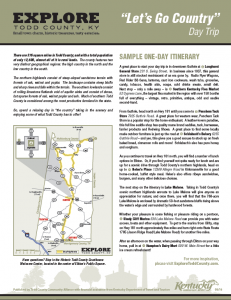 Click the image below or here to download a PDF version of the Let’s Go Country Day Trip.